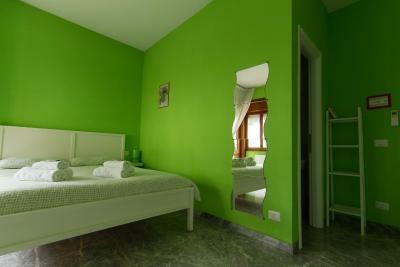 Lock in a great price for Pascià Room & Breakfast – rated 8.4 by recent guests! Mixed feelings On a good side: - awesome hot shower! There is a problem in Italy with hot showers and nice strong stream of water - this one had it all - Very friendly and knowledgeable stuff, thank you Sara! 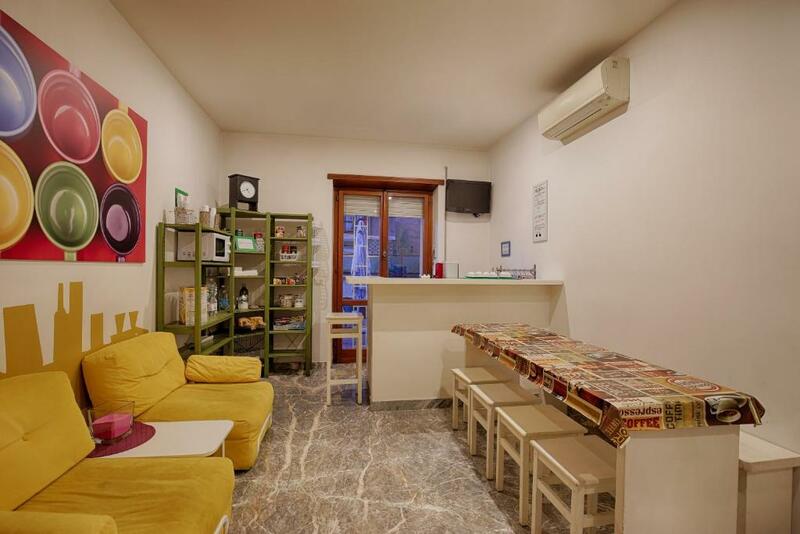 - Kitchen with a lots of snacks and drinks included - milk, juice, cereal, coffee, jam, bread - 1 min from the tram station, 15 mins from Termini. The location Pigneto is not the cleanest though. Overall - we would definitely come back if the mattresses and windows with sound proof will be fixed, as it’s the most important function of a hotel - give a client a proper rest and sleep. 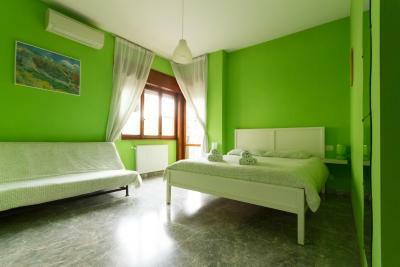 The bed was very comfortable and everything was clean and nice, the room/bathroom was clean everyday. Once you were able to locate the Tram (not the bus station) from the Terminal it was exactly 9 stops to your destination. The stop was a one minute walk to the property. There was a nice cafe and grocery store right next door . I purchased one in room bathroom and one external (that was a little different). All accommodations were great for the price. Common area had a small fridge and microwave-perfect when traveling with a toddler and having to warm up milk and store perishables. I expected a little more for breakfast- store bought pastry, an assortment, were placed in your room for you to eat at your leisure. 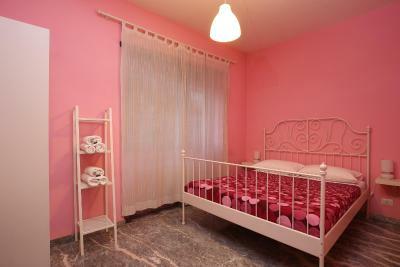 The place was clean and pleasantly decorated. The kitchen was stocked with cooking materials and they offered some essentials for free. Big plus was the free pasta available to cook(lifesaver after long travel). Owner is very kind and friendly. We got useful advices how to explore city more properly. Secodn time staying here. 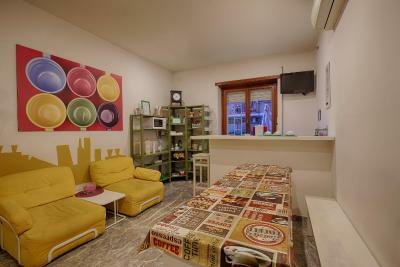 Staff super nice, good location, supermarket, coffee shop right by the apartment! 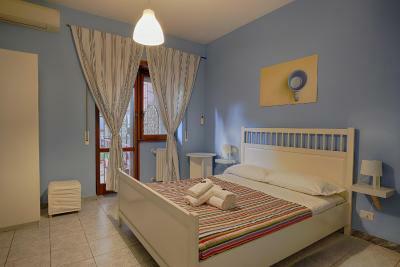 Everything was perfect, clean room, clean bathroom, kitchen with everything you need to prepare breakfast. Luca gave us instructions and made sure we had all we need. Bus and tram stations are very close, also a supermarket. Great place, would recommend it. 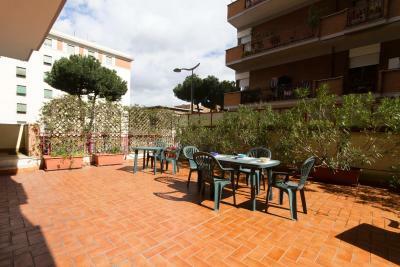 The location was convenient for getting into the centre of Rome, either by tam or the nearby Metro station. 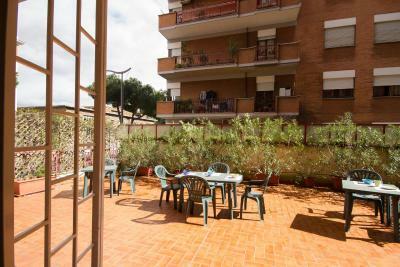 Located in Rome's vibrant Pigneto district, Pascià Room & Breakfast offers air conditioned rooms with free Wi-Fi and LCD TVs. 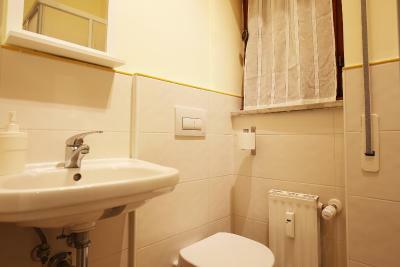 It has excellent tram and bus services into the historic center of Rome. You can enjoy relaxing in the Lounge Room with a game of chess and an international library. Drinks can also be served out on the floral terrace. 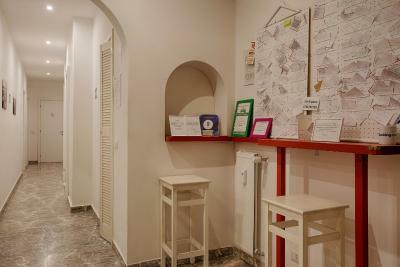 The staff at the Pascià provide you with a free city map and lots of useful tourist information. Trams and buses take you to Rome's Termini Train Station and the center of the city in around 10 minutes from the hotel. 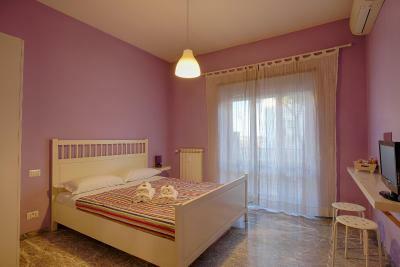 When would you like to stay at Pascià Room & Breakfast? This room has an LCD TV, air conditioning and a private bathroom. Pascià R&B is equipped with a comfortable lounge, reminiscent of the comforts of home, with sofas, table, kitchenette and piano bar ( handmade ), where you can relax after a day out in the city, which, though pleasant, is certainly tiring . In warmer weather, on the other hand, you can enjoy moments of pure relax on our terrace, in search of the famous breeze of Renato Rascel . House Rules Pascià Room & Breakfast takes special requests – add in the next step! Pascià Room &amp; Breakfast accepts these cards and reserves the right to temporarily hold an amount prior to arrival. Pascià Room & Breakfast accepts these cards and reserves the right to temporarily hold an amount prior to arrival. Guests are asked to communicate their expected arrival time via the comments box when booking. Reception is open until 20:00 and guests arriving after this time must arrange check-in in advance. A surcharge of EUR 15 applies for arrivals outside check-in hours. All requests for late arrival are subject to confirmation by the property. The latest possible check-in, even if paying the surcharge, is 00:00. 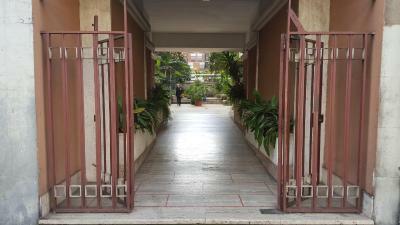 Please inform Pascià Room & Breakfast of your expected arrival time in advance. You can use the Special Requests box when booking, or contact the property directly using the contact details in your confirmation. 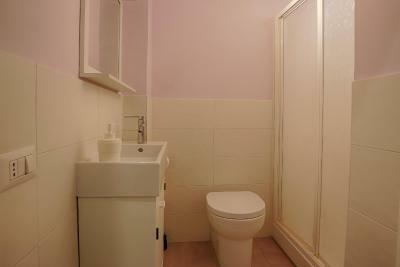 WC and shower are not included in room as was promised. Breakfast is same all days and it's packed croissants and little cakes. Juice or milk or coffee are in shared kitchen. Rooms bit noisy, I don't know how can they soundproof it, probably new windows? The room was a bit noisy from the traffic on the main road, the trams started up about 5:30 in the morning which did wake us on occasion. 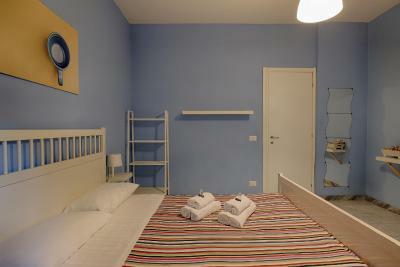 This hostel is not located in the center of Rome. It is very easy to get here by public transport. But you must remember that in Italy you can not buy tickets for transport from the driver. This is a problem if you leave the hostel early in the morning. We left the hostel at 7.00 in the morning. We had to find a place where we can buy tickets for transport. This can be done in Tabacheria, but early in the morning they are closed. We found the tickets in the cafe. But we spent a lot of time searching. You can immediately ask the staff of the hostel where to buy tickets, if you leave early in the morning. We rested with two children 12 and 13 years old, everything was fine! Very friendly staff. 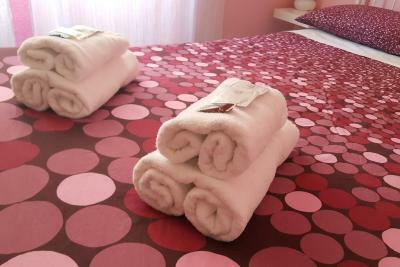 Clean room, comfortable beds, large towels. We had a triple room with a bathroom outside the room. 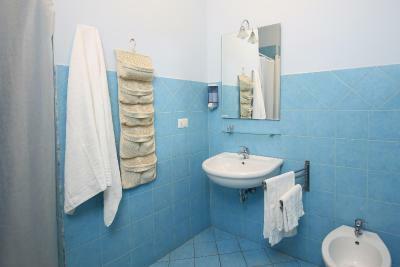 In the shower is clean, there is soap, toilet paper. Cozy patio. For breakfast - tea, coffee, juice, milk, biscuits and croissants, jam and butter. Near the hostel there is a store where you can buy bread, salami, cheese, wine and other products. If you arrive in the evening, be sure to ask the staff what restaurants nearby are open in the evening. In this area, cafes and shops are closed in the evening. We found a small cafe with a kebab and a great pizza. Take care of your dinner immediately if you come to the hostel in the evening. 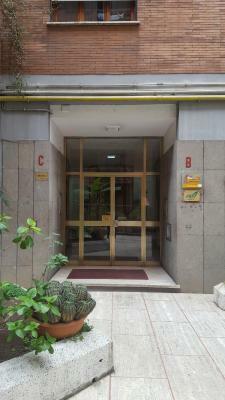 This is a great place in Rome, we are happy to recommend it to friends. Our room was facing an extremely busy road and didn't get much sleep because of the constant noise from the vehicles. Would be great to improve the soundproofing of the room. Also, the AC might require some filter changing (there was a constant tobacco smell in the room). 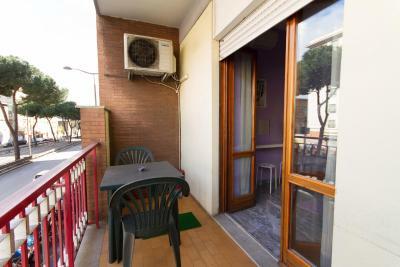 The room was very spacious and clean, we had access to the kitchen and been able to store things in the fridge, nice balcony to take breakfast in the morning. It was very nice our stay in Pascia! Sara was very kind and helpful with us and full of good tips for places to visit! 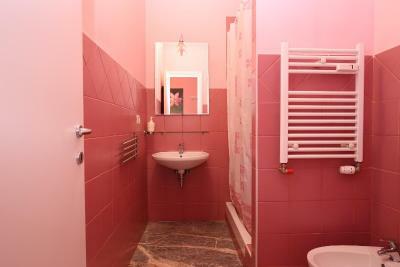 The only thing is that the bathroom is a bit small but nevertheless everything was so great! Definitely I will revisit...! The bed was a bit squeaky, but nice and big ! Although having read how far it is from The city centre, it sometimes was a bit annoying that the tram you need to reach a connecting tram to get into town only came every twenty minutes - so not the accommodations fault, just good to know. Staff was very friendly and helpful. 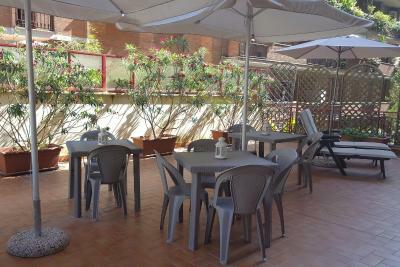 Place was very clean, the air conditioning was very good and the breakfast basket satisfactory. The location was not perfect since we needed close to half hour (via metro) to get to the center, but there was a tram stop across the street and a metro station a 10 minute walk from there. The area is quiet and safe (we never felt afraid of walking even late in the night) and there is a supermarket and a nice area with bars and restaurants very close. 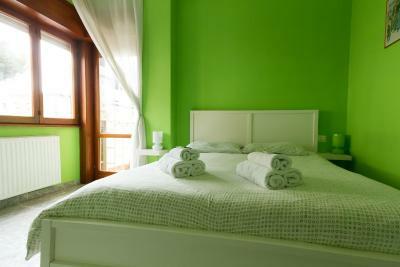 Overall, we enjoyed our stay there, the staff were very friendly and in general it was definitely value for money. My first night took me a while to adjust, but I loved my stay! The staff was more than willing to help. They went above and beyond their own convenience and timeline to accommodate for my sister and I!